While not a much as the Outer Hebrides storm Abigail did hit Islay as well. 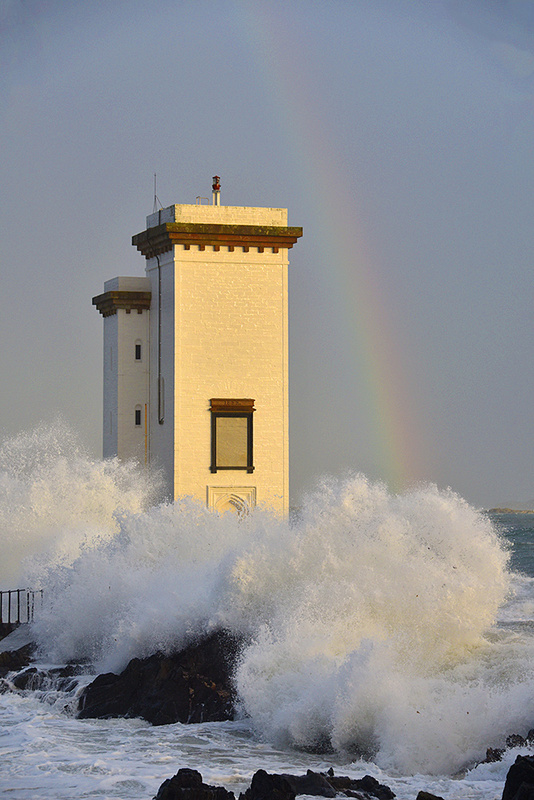 Some impressive waves hit Carraig Fhada lighthouse at Port Ellen, breaking over the rocks the lighthouse stands on. After a hailstorm passed a rainbow also appeared behind it. This entry was posted in Cloudy Weather, Landscape, Lighthouses, New Post, Sunny Weather and tagged Carraig Fhada, Islay, Port Ellen by Armin Grewe. Bookmark the permalink.